Writing the best report possible includes knowing actions to avoid during the writing process. Many are unaware of mistakes made during report writing. Such mistakes can misinterpret your main idea, writing style, and overall message you want your work to express. The work comes off as sloppy and the writer careless. Using professional options such as a report writing service assist in avoiding such occurrences. A writing task of this nature requires unique attention to detail. Here is a review of writing mistakes to avoid while working on your report. Using words correctly is important in any form of written communication. Sometimes mistakes are made, and you don’t realize a word was used incorrectly because it sounds the same as another word that is spelled differently. Examples: affect/effect, its/it’s, to/too/two. Using the wrong word can affect the meaning of a sentence. Sometimes a word is spelled correctly but how it is used in a sentence is incorrect. You can use a dictionary, thesaurus, or ask for advice when using words, you’re not sure about. You can also consider substituting the word with something easier to avoid confusion. You spend a great amount of time research and writing content. Some will write a paper but neglect looking it over thinking the paper is fine. Yet, undetected mistakes can lower your score. After spending time developing your rough and final drafts, it is important to spend time improving the quality of your work by checking it over. Proofreading includes reading content from start to finish and noting where changes are needed. 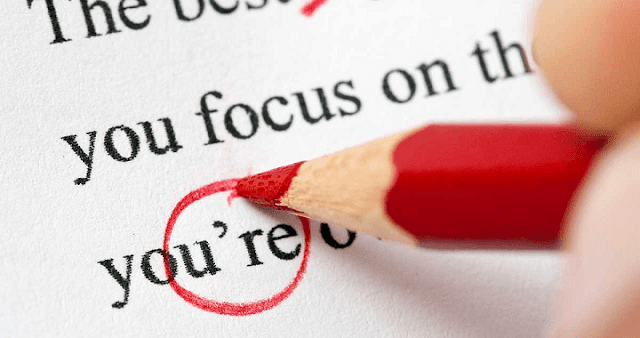 Editing is actually making the changes to improve grammar, punctuation, spelling, and so on. There are easy help guides online providing tips on how to do this yourself or hire an editor to assist you. Selecting an interesting topic is one thing but knowing how to present it with good sentence and paragraph structure is another. Take time to understand your style and voice of writing. It will make a difference when following through with guidelines for the project. Poor sentence and paragraph structure relate to using passive and active voice, along with a proper selection of adverbs, adjectives, punctuation, and so forth. These elements help your work be readable while helping readers follow through your main idea. After reviewing mistakes made during the process of report writing you can take steps to avoid them. Learn help options available for writing based on your academic level. There are professional writing companies and academic writers providing assistance through online writing jobs. You can work with a professional writer, use writing reference materials, and have someone you know read your work and make suggestions. Once you complete your assignment make sure it is proofread and edited.